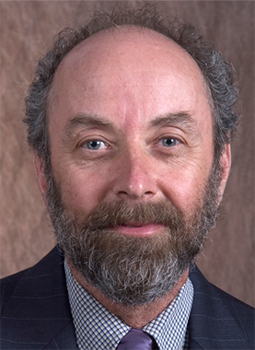 Professor Donald Wittman in the Department of Economics was selected as the 2010-11 recipient of the Martin M. Chemers Award for Outstanding Research. Professor Wittman has had a long, distinguished, and productive career, and has made original and major contributions to several areas: law and economics and political science. He wrote pioneering articles in the field of Law and Economics, just as it was becoming established in many law schools and top economics departments. These articles were published in the top journals and continue to be widely cited. At the same time, he continues to make new contributions to the field. The capstone to this work is his 2006 volume, Economic Foundations of Law and Organization. His work spanning political science and economics has had considerableimpact. Here, too, he was a pioneer. His book in 1995, The Myth of Democratic Failure won the American Political Science Association’s prize for the best book or article in Political Economy. His continuing contributions in this area is demonstrated by his invitation to edit the Oxford Handbook of Political Economy (published in 2006). He accepted and chose a former student as co-editor, producing a work that shapes as well as surveys the field. The editors’ introduction was so lucid and comprehensive it was reprinted in 2009 in the political science handbook. Professor Wittman continues to write influential articles in top-ranked journals. Although prominent in law and economics and political science,he has written technical articles on a wide range of topics including pollution taxes and logical problems with behavioral economics. Behind this diverse research portfolio lies a methodological unity applied creatively. Given his body of work - its depth, breadth, productivity, and continuing influence – the committee selected Professor Donald Wittman for the Martin M. Chemers Award for Outstanding Research in the Division of Social Sciences. The Chemers Research Award recognizes a senior faculty member whose research has had a substantial cumulative impact on their discipline for a number of years.